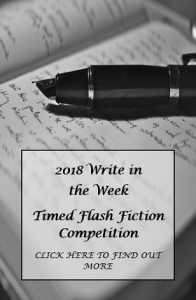 You are currently browsing the archive for the Kudos Featured Competitions category. Bradt Travel Guides has one again teamed up with the Edward Stanford Travel Writing Awards to run what they believe is the world’s best competition for unpublished travel writers. 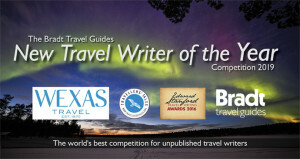 Bradt Travel Guides has one again teamed up with the Edward Stanford Travel Writing Awards to run what they believe is the world’s best competition for unpublished travel writers. 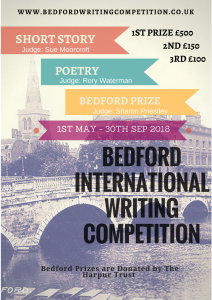 Not only are the prizes fabulous, but the competition offers a unique opportunity for unpublished writers to showcase their talents to the professional travel-writing community. Whether you’re an aspiring travel writer or simply enjoy writing about your travels, this is the competition for you! First prize is a break for two to Lapland, courtesy of Wexas, a commission to write an article about the prize trip for publication in Traveller magazine, and a place on the annual Bradt Travel-Writing Seminar (run in conjunction with Travellers’ Tales, the UK’s leading training agency for aspiring travel writers). 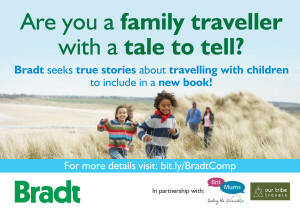 Two runners-up will also receive free places on the Bradt Travel Writing Seminar. All three finalists will be invited to join the judges at the Edward Stanford Travel-Writing Awards ceremony in London in early 2019, where the winner will be announced. The subject for this year’s competition is ‘Out of the Blue’. Poems of 14 lines any theme traditional/varied form – or not at all!